With the right messaging and targeting, generating leads for your business, can be relatively easy. But generating leads does not equal sales, at least not yet! So what is the best way to convert your new business leads into paying clients? Email marketing is still, without a doubt, one of the most powerful ways to convert your leads into clients. However, a lot of people use email marketing the wrong way. Sell to your leads regularly, but only after you’ve provided a lot more free value and educational content first. A good rule of thumb is for every 3 or 4 emails you send out with free educational content you can send 1 email out to sell to them. The important part to remember with email marketing is that it’s all about following up, and not just following up to say “hey, do you remember me? This is what I do….”, it’s about following up with your leads to help them and provide value first, then sell to them later. Top tip: Another great way to follow up with your leads is by using Facebook Messenger and tools such as ManyChat. By creating free education content that provides value to your target audience you now have a reason to follow up with your leads through email marketing without being annoying. The great thing about creating content is that you can use it to sell to your leads without really selling to them. Creating content that’s incredibly useful and helpful positions yourself as an expert in what you do, and it proves to your prospects that you know what you’re talking about. Also, don’t just limit your content to articles. Videos, webinars, live events and podcasts all count as content you can use to build trust and send out via email to your leads. Top tip: The content you create not only helps you with building trust, but it also helps you rank higher on Google. There are so many benefits to creating content, so it’s crucial that this is an ongoing part of your marketing strategy. By now you probably know that social media is a gold-mine when it comes to generating leads. But did you know you can also use social media to convert leads into sales? Have you generated leads on Facebook or Twitter? Then add them as a connection on LinkedIn. 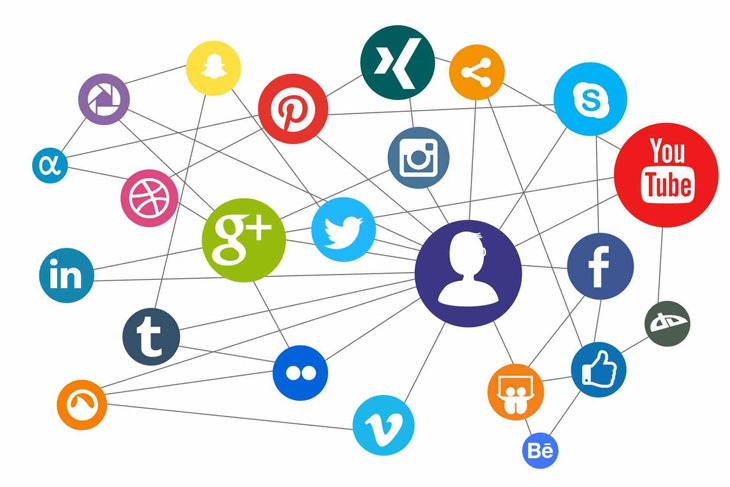 Following and staying in touch with your leads on more than one social media platform allows you to grow the amount of touch points you have with them. Once someone has connected to you on social media, be sure to post daily social media updates with your own content and even other people’s content (as long as it also provides value to your target audience). Again, this increases your trust and touch points with prospects. This is one of the most powerful ways to use social media to convert leads into sales. By uploading a list of your leads into Facebook, LinkedIn, etc., you can retarget your existing leads, with more content. We’ve found this especially effective when retargeting social media leads with one of our upcoming webinars (see below for more info on using webinars for lead conversion!). One of the biggest reasons someone will buy from you is because they trust and like you. So if you’re looking to dramatically increase how quickly someone trusts and likes you, there’s nothing quite like webinars and live events! When I was living in London, I would speak at a live event every month talking about social media. It was an excellent way to build authority, trust, likability, and to convert leads into sales. Now that I live in the USA and work with clients all over the world, instead of speaking at live in-person events locally, I now host monthly webinars to convert leads into sales no matter where they are based. Whatever you decide is best for your business (live events, webinars or both), you definitely want to do something that changes the selling environment. By changing the selling environment to an educational webinar or live event (where they can see and hear you) – you’ll be able to build trust and likability a lot more rapidly. When using webinars, focus about 80-90% of the webinar providing value and answering one of your clients’ biggest questions or frustrations. Then use the remaining 10-20% of the webinar to explain how using you or your company willhelp them even more. Finally, at the end of the webinar, have a call-to-action where people can book a meeting with you (or take some other kind of action) to learn more. Webinars and live events are especially useful if you sell a high-ticket item (like a professional service, business coaching, and so on). If you need help with creating a webinar, then I highly recommend you read the book Expert Secrets and read the section on creating “The Perfect Webinar”! Top tip: A great advantage of using webinars is that they can be automated. You can record your webinar once and then automate it for any new leads you generate. We provide done-for-you automated webinar services – so if you’re interested in learning more – just ask! As you start to generate leads, follow up with them through email marketing, webinars, events and so on – you’ll notice some are a lot more engaged than others. The leads that are very engaged with you (they open every email, click on every link, sign up to all your webinars, etc.) are the ones we call your “hot leads”. Your email marketing software will usually be able to tell you who these people are. However, for one reason or another (usually because they’re too busy), your “hot leads” might not have actually made the decision to reach out to you in order to work with you yet. All you then need to do is pick up the phone and contact them or, if you want to be a little bit more unique, you could record a quick personalised video explaining how you can help them, and send it to them via email. I remember last year, eMyth coaching was going through a similar scenario. So what they did is, instead of waiting for leads to reach out to them and ask for eMyth coaching, they decided to reach out manually to their most highly engaged leads and offer them a free coaching session. After testing this for a while, they discovered they were able to generate a lot more conversions compared to waiting passively for conversions to happen. To improve your lead conversion it’s important you track your conversions at every point in your marketing and sales process. That way, you can see what’s working and what isn’t. The first thing you want to track is your top-level marketing performance. This may change from business to business but the above should give you a guideline to use for your own business for your lead generation and lead conversion. As well as your top-level marketing performance, you also want to track your mid-level marketing stats. These are things such as your email open rates, your website bounce rates, click through rates, and so on. Your mid-level marketing stats will be different for every business. Overall, you want to look at these stats and see how you can improve them. If you make changes to your website, your branding, your text, images, etc. – how does this affect your stats? Will it be higher or lower? By tracking your results at different stages you’ll be able to see ways you can improve and then focus your attention on that. In your business, you need to follow up with your leads until they are ready, willing and able to buy, as Josh Hoffman says. With the right targeting on social media, you can increase the chances you find people who are ready (it’s the right time) and able (they have the money) to work with you. But you can’t force them to be willing (trust and like you enough). By following up with your leads through multiple touch points (email, content, social media, webinars, etc. ), you can increase the chances your leads will trust and want to work with you. As a quick example, for us, we get clients who have been on our email list for a few weeks, some months and some even years before they convert into clients. Why? Some trust us quicker than others. For our clients, it’s the same thing. So be patient, and in the meantime, focus on ways you can build more trust by following the advice, strategies, tips and tactics in the methods above.